Sand Mountain is a flat-topped extension of the Cumberland Plateau stretching over a hundred miles along the Tennessee River in the states of Tennessee, Georgia and Alabama. 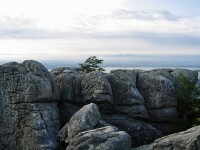 Its twin, Lookout Mountain, lies across the valley, where Interstate 59 runs from Chattanooga, Tenn. to Fort Payne and Boaz, Alabama, near Blountsville. In ancient times, a mixture of Cherokee, Yuchi, Koasati, Creek and other Indian tribes inhabited the area, and the Spanish explorer Hernando De Soto visited its towns in 1539/1540. 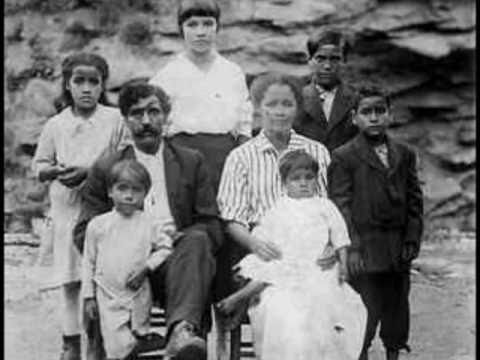 In the census of 1950, Jackson County (which constituted the first white county formed in Alabama from the Cherokee Cession of 1816) had 70 persons identified as Melungeon, making it a notable location for this ethnic group. This article will survey the genealogies and ancestry of some of these families, based on the author’s own family tree, and incorporating research about to be published in a recent book titled When Scotland Was Jewish. 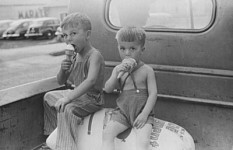 Surnames include Adkins, Beam(er), Black, Blevins, Brown, Bunch, Bundren, Burke, Burns, Cooper, Davis, Fields, Gist, Gunter, Keys, Lackey, Lowrey, Redwine, Riley, Shankles, and Sizemore. 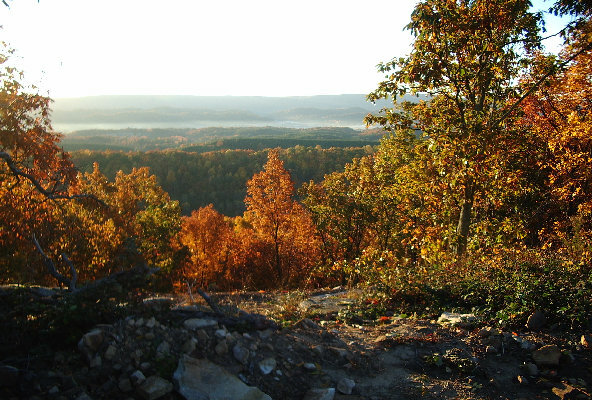 Sand Mountain extends from South Pittsburg in Tennessee to Boaz, Alabama. What a minute, you’re going to say. I didn’t know Scotland was ever Jewish. Scottish history can’t boast of having too many prominent Jews, right? Well, not until now. When Scotland Was Jewish was begun by Professor Elizabeth C. Hirschman of Rutgers University and joined by me as a co-investigator in 2001. Both of us are of Melungeon ancestry. Using the tools of modern DNA testing and clues ranging from medieval burgess lists to synagogue records, we researched a large community of Jewish and Moorish merchants and court officials who were active in the nation-building phase of early Scottish history, 1000-1300. My own interest in the Melungeons of Sand Mountain began in 1997, when in the course of pursuing some genealogy work on my mother’s Coopers, I encountered a very strange court record on USGenWeb. 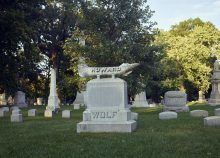 It named one of our ancestors, Isaac Cooper, rumored to have been a mixed blood Choctaw-Cherokee who married a daughter of Cherokee principal chief Black Fox (Enola, Inali, died 1811). The record presented Isaac Cooper giving a deposition in the home of James Cooper in newly-formed Jackson County, Alabama. 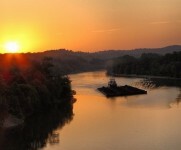 It concerned the Great Salt Works of the Big South Fork of the Cumberland River in Wayne County, Kentucky. What in the world was going on? From a legal expert investigating the history of this case, I learned:The Big South Fork of the Cumberland River empties into the Cumberland River in Pulaski Co. East of Burnside. 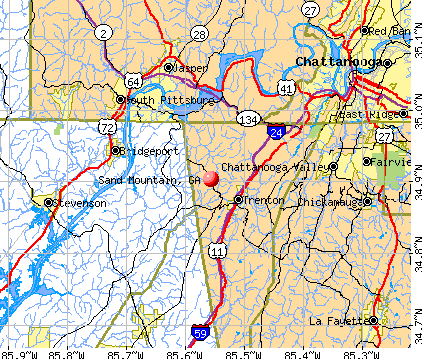 Today, the River is mostly in McCreary Co. KY, and then crosses the border into Scott and Fentress Co’s.TN. Years ago, before McCreary Co. was formed, the West/North bank of the River was Wayne Co. KY, and Fentress Co. TN. The East/South bank (the River runs mostly North to South, with a large bend near Bear Creek that turns the flow East to west for a few miles, then it turns South once more), was Pulaski and Whitley Co. KY, and Campbell and then later on Scott Co. TN. 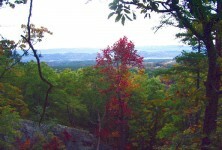 In the 1900’s, this was a coal mining area, and today, it is a National Park. It is stunningly beautiful place, with large bluffs along the River canyon. Francis and Slavey petitioned the State Legislature, and in 1811, received a Grant for 1000 acres, conditional upon their production of a 1000 bushels of salt. The time limit for this production was later increased, due to the War of 1812. By the time the 1000 bushels were produced (around 1818), several other items of interest occurred: John Francis received another Grant just South of the 1000 acres for the same purpose; Marcus Huling, working with Col. James Stone, sank another saltwater well, on the sight of Francis’s other Grant; Stephen F. Conn,Martin Beaty, and a host of other people became involved in these enterprises in several different ways. This activity started a series of Law Suits, lasting up into the 1830’s, as well as the accidental sinking of the world’s first oil well (Post: HISTORY: Salt Works of the Big South Fork (BSF), Date: Thu, 15 Oct 1998 22:16:14 –0400, Submitter: Lanny R. Slavey). This chance “hit” sent me on a long odyssey of exploration and self-discovery, one accompanied by not a little soul searching. I investigated the origins of the Cooper surname, the settlement of Daniel Boone’s Kentucky, and the seemingly interminable treaties and intrigues that followed the Cherokee’s defeat by the British in 1761. Both for me and for my (equally Melungeon and American Indian) wife, Teresa, a Ramey, it has led to cherished new friendships – with Brent Kennedy, with Nancy Morrison of the Melungeon Health Network, and with Dr. Arnold Mark Belzer of Congregation Mickve Israel in Savannah. But I don’t mind saying that it has also brought some less-than-friendly challenges from others. Unaccountably, opponents emerged. We learned there were people who were either so hardened in academic orthodoxy or sunk in prejudice that they were unwilling to acknowledge what seemed an ever-growing mountain of evidence about the historical roots and composition of the Melungeons. After nearly 10 years of grappling with these issues, I am satisfied with the emerging consensus. I have only one remaining question. Where did all the money go? Seriously, I think this is a valid concern. How did our ancestors come to be dispossessed of such a splendid legacy? From a genealogical perspective, the following notes detail some of the land sales, mineral prospecting, manufacturing, trade activities, lobbying, and legal moves of these Melungeon families in an ever-shifting and increasingly complex social environment. The period ends about 1840, a time when the U.S. government (supposedly, on the strength of a one-vote margin in the Senate) removed the Indian tribes west of the Mississippi. But its background can be glimpsed in a centuries-old fight for religious freedom, self-reliance and democratic values. I am proud of this story, and I know the ancestors are proud of us to discover it at last. 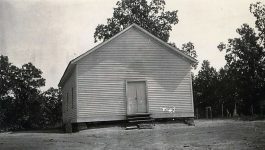 This article is dedicated to Bessie Louise Cooper Yates, born on Sand Mountain in Jackson County, Langston, Alabama, October 22, 1917, the daughter of John Wesley Monroe Dolphus and Dovie Palestine Goble Cooper, both longtime Sand Mountain residents. An alumna of Berry College, Mount Berry, Ga., she lives in Northwest Florida and has 10 grandchildren and 8 great-grandchildren. I have inlaws that were from Sand Mt. I also believe that I am an ancestor of the Royal House of Stewart in Scotland. I have done geneology that far back. 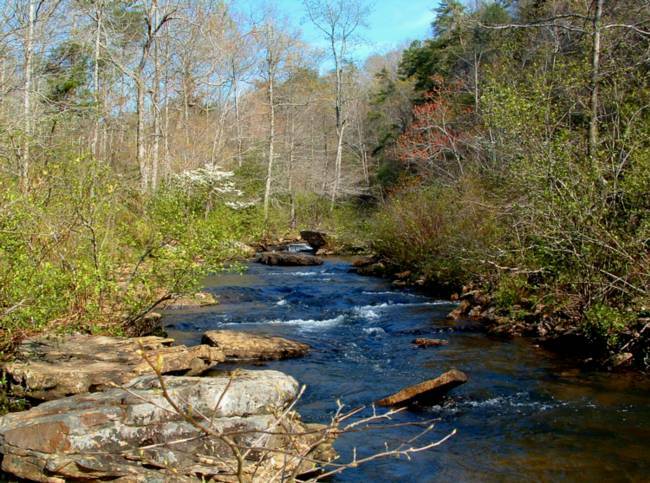 my mom’s family were from the Sand Mountain area until they migrated in the early 1900’s to Western Alabama…. Which DNA test would give a female the best chance of determining if she is related to a Melungeon line? Because of my grandmother insisting she came from “Black Dutch,” I think it is possible I may have that ancestry. My grandmother was from Tennessee. I had a cookbook that spoke of “Dutch” cooking and it commented that a lot of what people call “Dutch” was really “”Duetch” ( like from the Pennsylvania “Dutch”), which means German. “Duetchland”. Mary Nesbitt I was told as a child we had black dutch in our family. I had a dna test done with DNA Consultants the test proved I have Melungeon in my family and found out I have 6 native american lines. Plus so much more. P.S. My neighbors when we camped on the James River were Free Issues, and censuses in mid 1800’s said Gowen’s were Free People of Color. I haven’t been able to trace my Gowen line beyond great grandparents. Fascinating. Thanks so much for this book review. I think my Dad’s heritage is Melungeon. You guys might want to go on to Amazon and read reviews for “When Scotland was Jewish”. Read the one star reviews and you’ll find out how badly researched the book was. Why can’t the page load? Gah. I believe it is fixed now and should work. Thanks for letting us know. Click on the actual photo not the blue link above it. My mother’s ancestors are from Sand Mountain. Many relatives still live there. Happy to report the link worked for me . 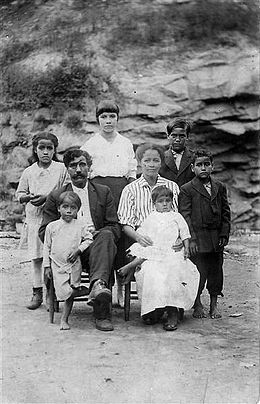 I recall reading an extensive series of articles on the Melungeons in serial editions of the magazine,Blue Ridge Country,back in the late 90s.One big question at that time was the origin of the Melungeons.Theories ranged at that time from these Melungeons being descendants of the explorer Modoc to their having descended from Turkish explorers.Has this DNA project established the definitive answer on the origin of the Melungeons? So what was his determination of DNA origins of the melungions? I’ve seen DNA evidence showing Portuguese, now Jewish and moorish (which the Iberian peninsula was moorish at one time) but the article leaves us with many questions. I opened it ok. I’m wondering about the DNA also! My ggrandmother married a Bud Hicks. Her name was Sally or Sarah Davis. My grandmother Della Jane Hicks Griffith was of Native Indian (Choctaw) descent and always said she was born on Sand Mountain. My DNA showed traces of Jewish origin. Interesting read. I hope you don’t put too much stock in the research techniques of the authors. Hmmm. I find this interesting, I’m descended from Nancy Black fox and Isaac Cooper via their son Harmon S. Cooper. The author is rather mistaken. 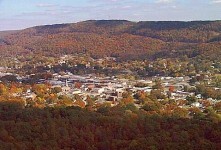 South Pittsburg, Tn is well south of the northern end of Sand Mountain. Sand Mtn “officially” starts in Dade County, Georgia around I-24 and in the communities of Egypt Hollow and Murphy Hollow and Cole City. Did Morris family live in Sand mountain area, if so what were their names?